You ever go to a place where you walk in and immediately feel at home? Where the employees smile at you and actually make you feel like they are glad to see you? For me, that place is the 9th South Deli. 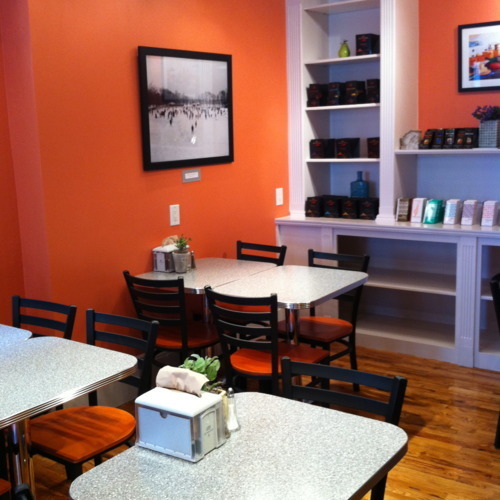 This deli is located in a refurbished home just East of Great Harvest in the 9th and 9th area. The interior is……hip and fresh, but not in-your-face trendy. I guess the best word to describe it is classy. I walked into the deli about 5 minutes prior to closing time. By the way, they have strange hours–for example, they close at 4:05. When I asked the owner, Kathie, why they had those bizarre hours, she said they did it for people exactly like me: the last-minute walk-ins. Kathie is an absolute delight to speak with. Even though I was a late-comer, she welcomed me in and told me all about their food. I’m glad she pointed out some of the most popular dishes, because their very busy menu board was a little too much for me to be able to digest. 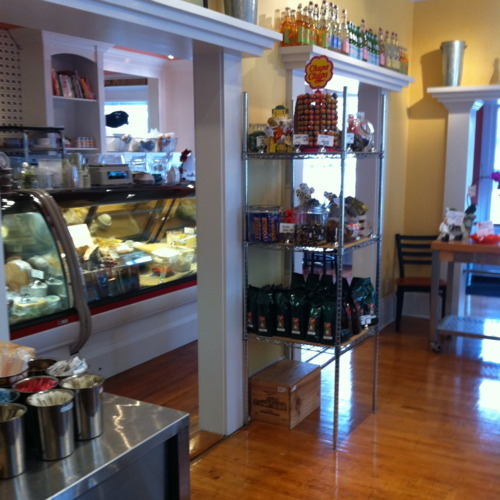 This isn’t your normal deli–they specialize in European deli items. I ended up selecting a knish and a small bowl of their matzo ball soup. She said that I should try the pastrami the next time I came in, because they looked all over the country for the perfect pastrami to offer. 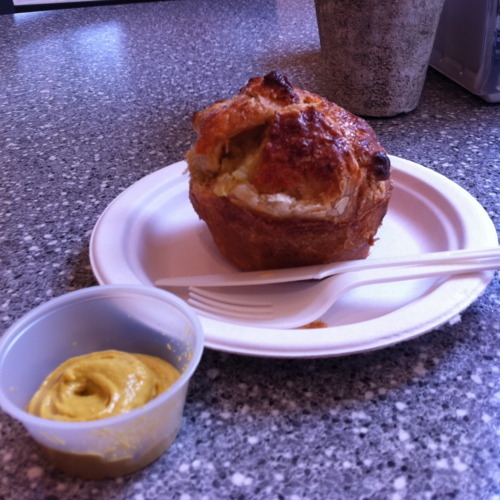 The knish was terrific. A blend of mashed potatoes, potato skins, garlic, a little sour cream, and other delicious items all surrounded with phyllo dough and baked in a large muffin tin. It was crispy and flaky on the outside and full of garlicy-potato goodness on the inside. They serve the knish with a side of mustard. I’m generally not a mustard fan, but their mustard is delicious. The matzo soup was tasty as well. The matzo balls were in a deliciously rich broth. My only issue with the soup was that it seemed a bit oily. But to be fair, this was my first matzo ball soup, so I have no idea what the proper preparation is. 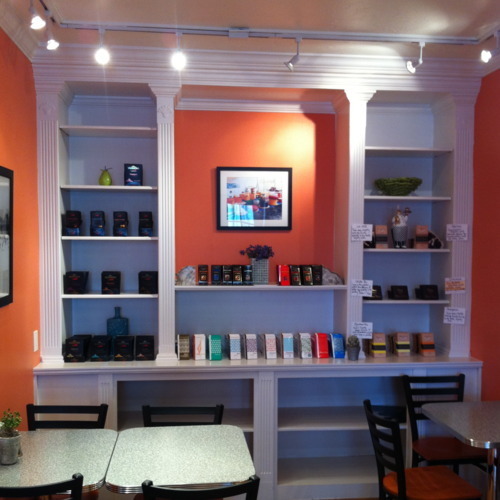 The deli also has a wide selection of delicious chocolates, including Valrhona, Pralus, and Domori. 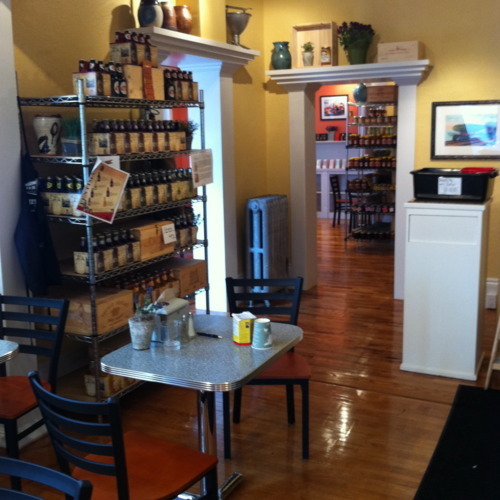 They also have a wide selection of bottled drinks that are typically only found on the East coast. I found a bottle of Dr. Brown’s cel-ray soda here, and after looking at a few places, I’m sure they’re the only store in the State that carries it.